In our October 2018 issue, Monthly consulted with the following local experts in our coverage of breast cancer prevention, diagnosis, care and treatment. William E. Burak, MD is a surgical oncologist in Savannah. Dr. Burak graduated from Sidney Kimmel Medical College Jefferson University in 1987 and has been in practice for 31 years. He completed a residency at University of Maryland Medical System. Dr. Burak also specializes in surgery. He is affiliated with Memorial Health University Medical Center. Dr. Perry Burrus, a board-certified general surgeon with Beaufort Memorial Surgical Specialists and a fellow of the American College of Surgeons, joined the medical staff of Beaufort Memorial in 1993. A former chief of surgery at the hospital, Dr. Burrus current serves as the medical director of the Beaufort Memorial Breast Health Center. Among his professional interests are treating patients at high risk for breast cancer and breast surgery. Jackie Brown is Breast Care Coordinator and Managing Clinical Director of the Women's Imaging Center at Beaufort Memorial Hospital. 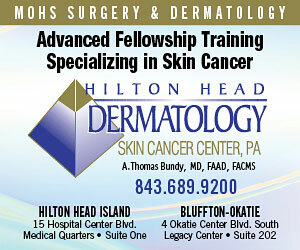 Gary Thomas, MD is a specialist in Hem­a­tol­ogy and On­col­ogy at St. Joseph’s | Candler and SC Cancer Specialists. He is board certified in Medical Oncology by the American Board of Internal Medicine. Dr. Thomas received his B.A. of Chemistry from the College of Charleston and medical degree from the Medical University of South Carolina in Charleston, SC. Following that he did his residency in Internal Medicine at the Medical College of Georgia and was named Chief Resident. He completed his Medical Oncology fellowship at The Comprehensive Cancer Center of Wake Forest University 1993. A board-certified specialist in medical oncology, Dr. Marcus Newberry brings broad-based experience to his practice of medicine at Beaufort Memorial Medical Oncology Specialists, which he joined in 2015. He specializes in a wide range of cancers as well as of benign hematological conditions. Besides chemotherapy, he uses modifications in lifestyle and nutrition to help his patients achieve a cancer-free life. In addition to treating patients with cancer, Dr. Newberry provides medical oversight for Beaufort Memorial Chemotherapy & Infusion Services. 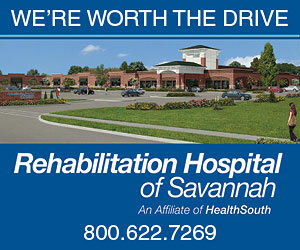 He was a founding member of Beaufort Memorial Lowcountry Medical Group and earlier practiced internal medicine there. He is a former chairman of the Pharmacy and Therapeutics Committee at East Cooper Medical Center in Mount Pleasant and a former medical director at both American Hospice and Quality Home Health.